From market stalls to online auctions, from carts to aeroplanes, the way we shop and travel has been transformed over time. Look into the past and compare it to today’s world to see how things have changed. Markets are still great places to buy fruit and veg, but giant supermarkets and internet shopping are the norm today. And while people still ride horses and bicycles, the way we use them is completely different now. 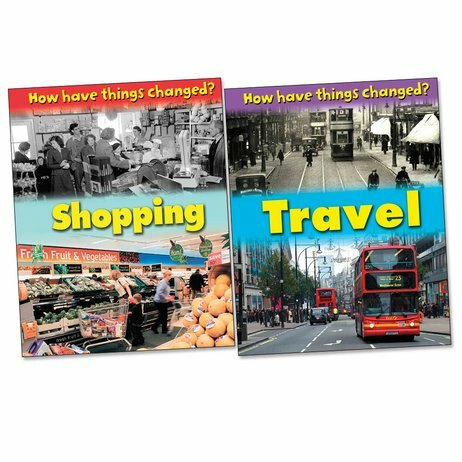 Learn more in these fascinating books, full of photos, facts and trivia that help you discover history through people’s everyday lives.